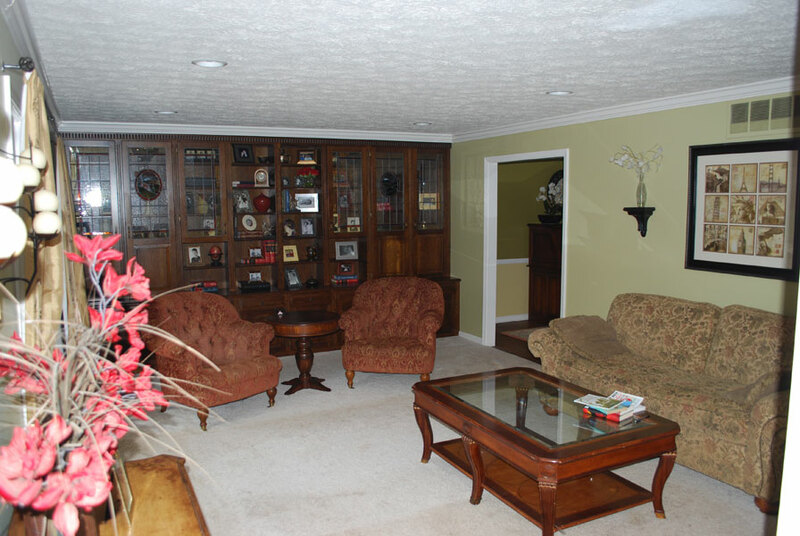 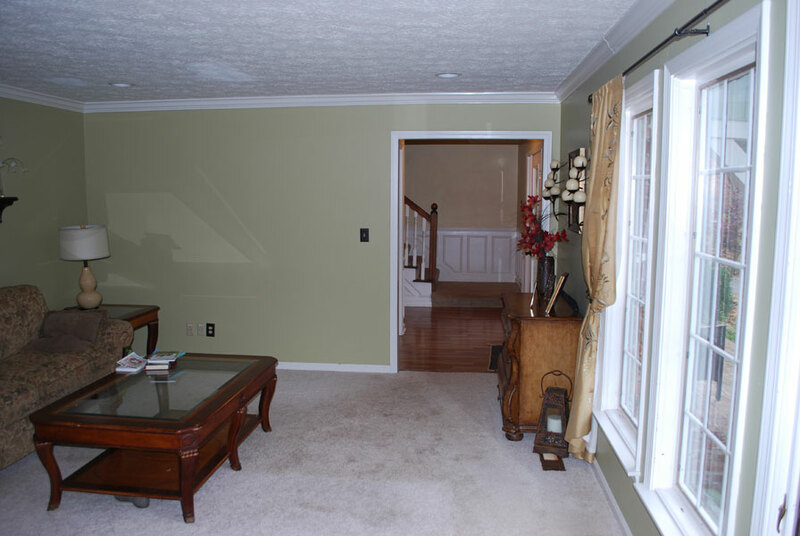 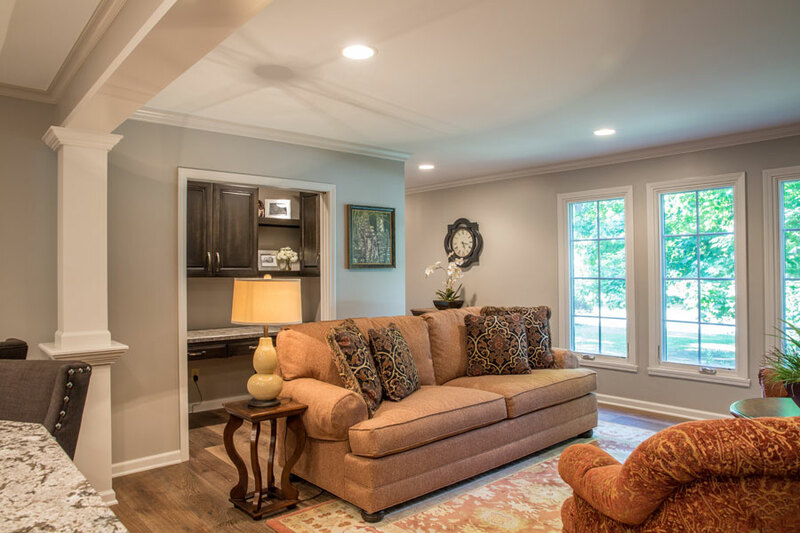 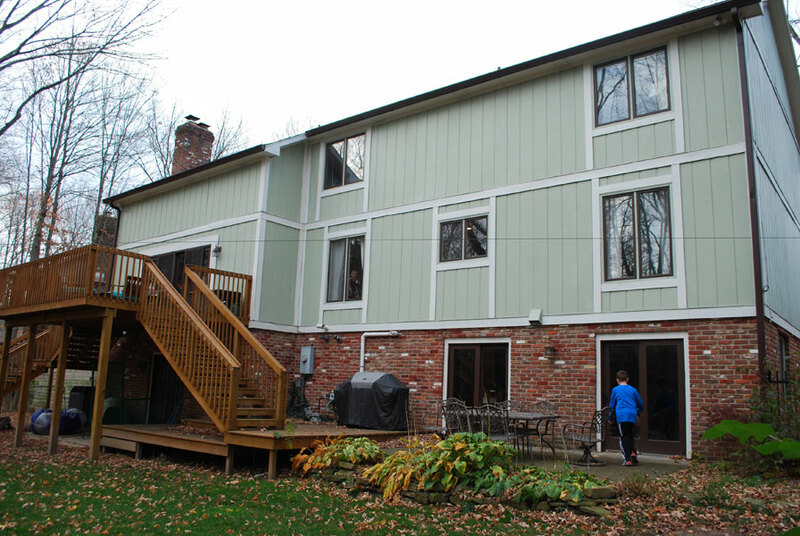 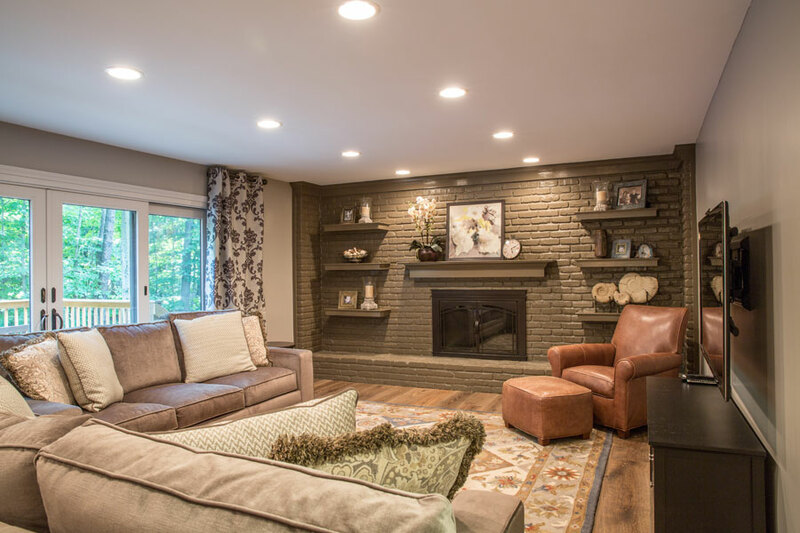 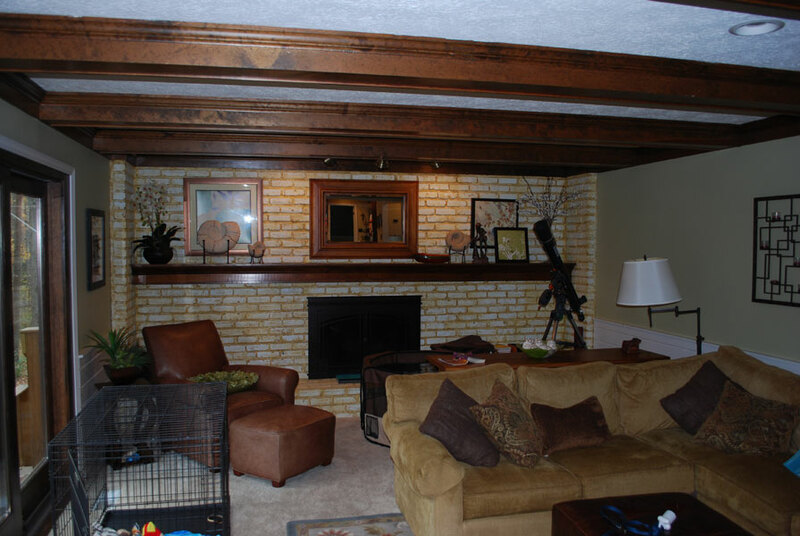 This typical late 20th Century home located in Zionsville, IN had a “compartmentalized” living area that separated kitchen, dining and entertaining areas from one another. 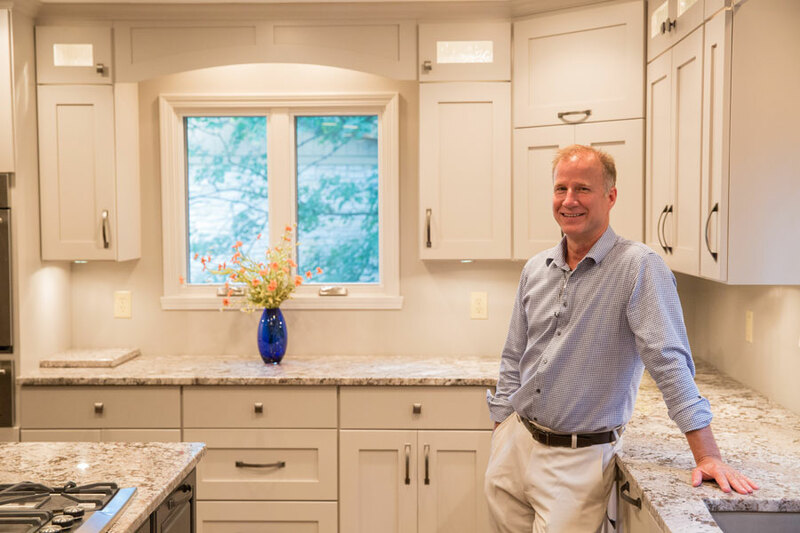 Desiring a more open and “flowing” floor plan for their growing modern family, these clients hired Architect Lee Constantine to solve their needs. 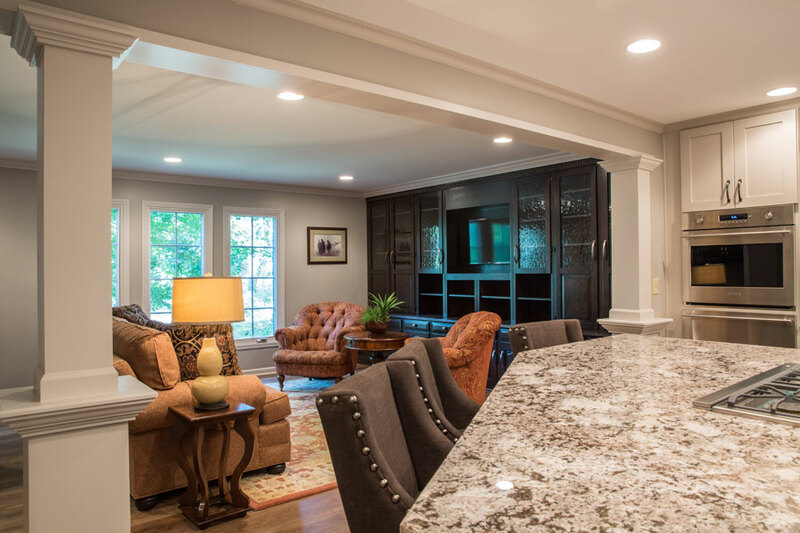 By removing center interior load-bearing walls, Constantine was able to connect the various living spaces within the 1st floor area. 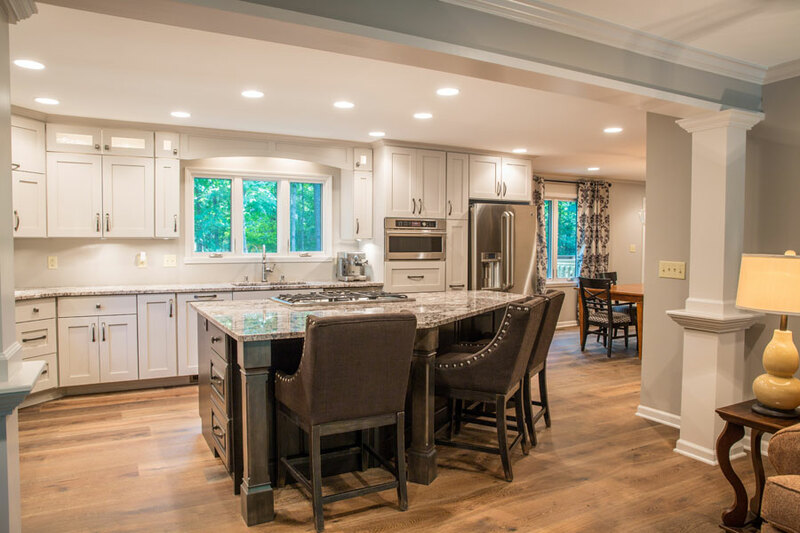 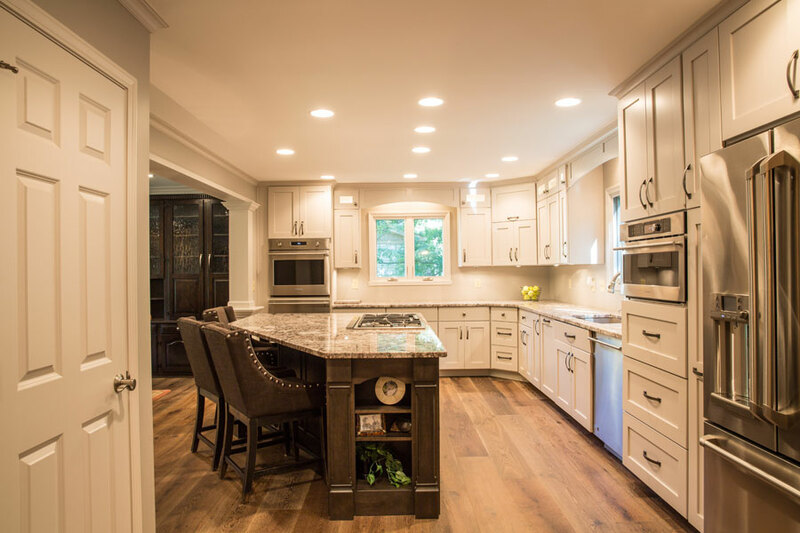 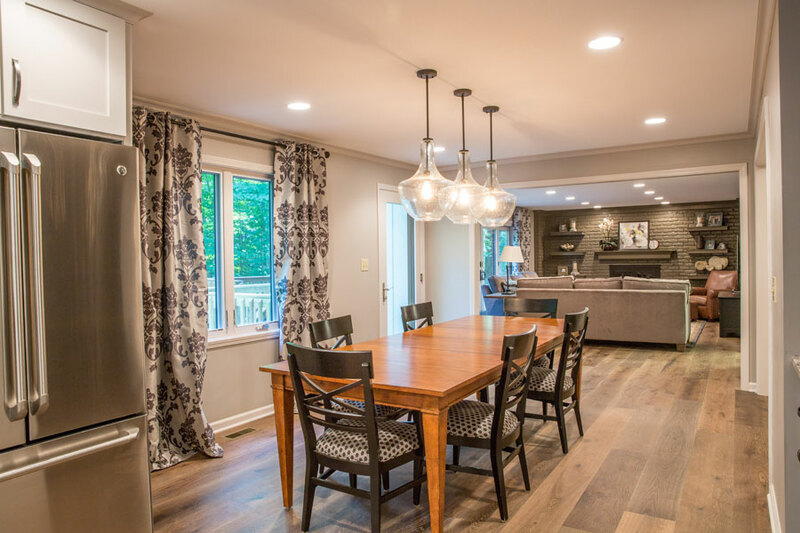 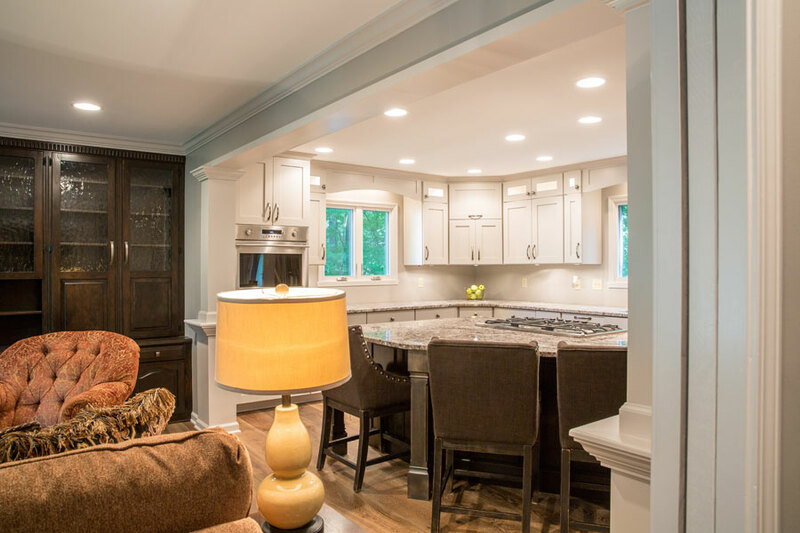 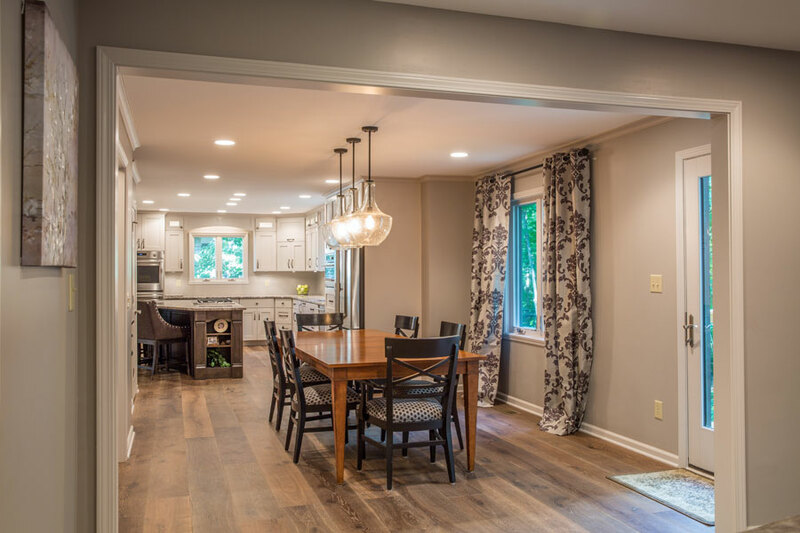 Additionally, a small rear addition was included that added dimension to the kitchen and better accommodated a large center island used as a “work zone” as well as for seating family & guests. 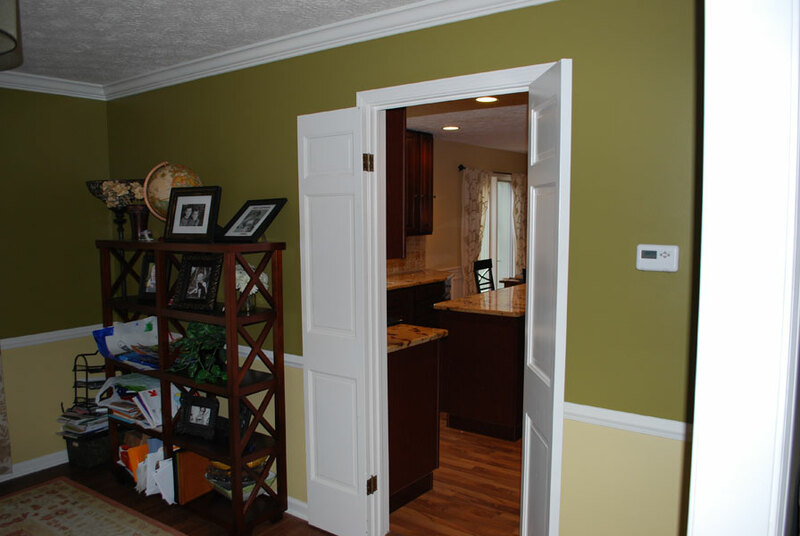 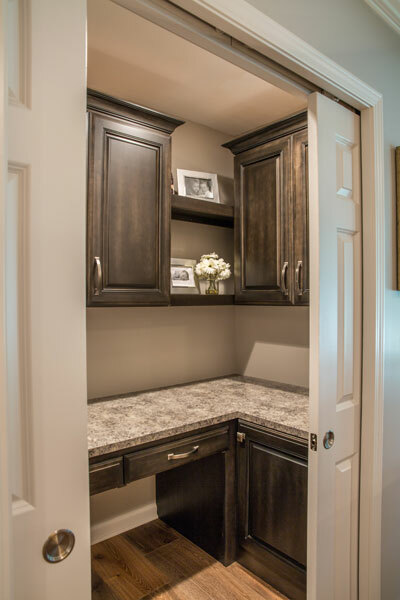 Dad’s ‘home office” needs were addressed with a small area adjacent to the kitchen “hub” defined with pocket doors enabling it to be concealed and somewhat more private when necessary. 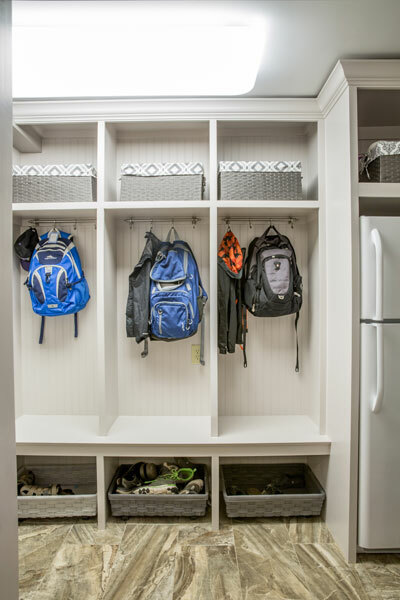 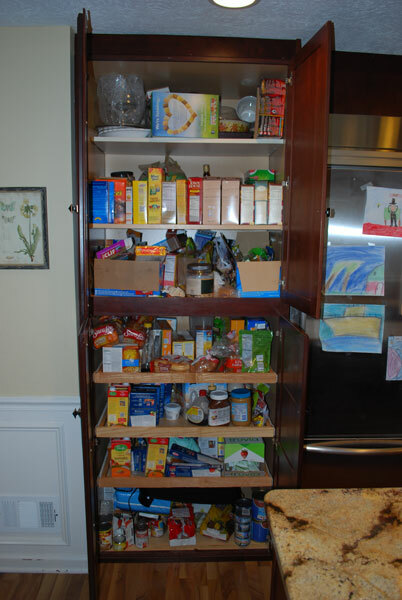 Space was also “carved” from within the existing Garage creating a Mud Room that provides a “transition” area for organizing and collecting the family’s “stuff” outside of the “living areas”. 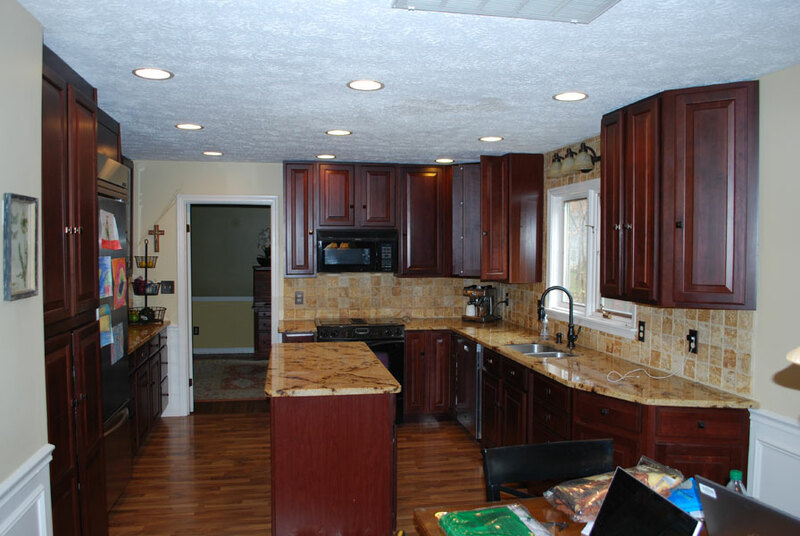 Lee added character to the exterior of our home which it needed badly and the kitchen is better and bigger than I expected. 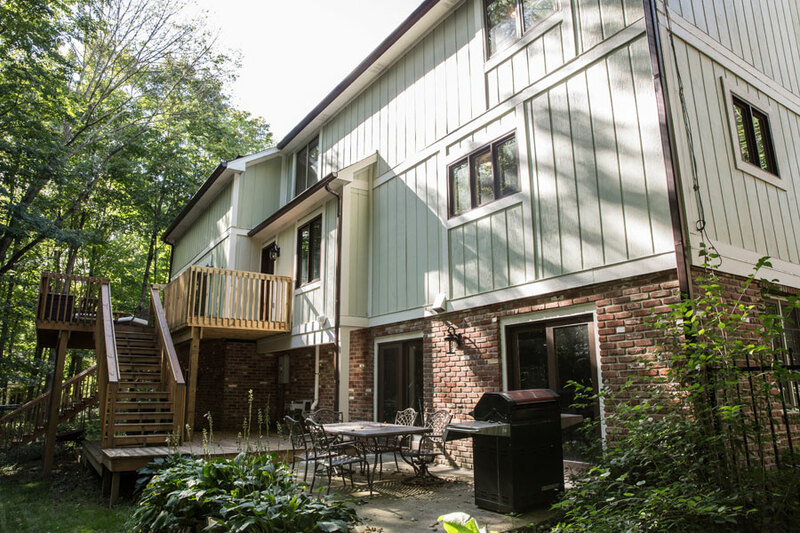 Neighbors have stopped by to say how much they like the design and how the addition looks like it has always been a part of the house.